When we talk about things like disruption and radical innovation, and innovation tools and processes, it’s easy to forget that people drive innovation. 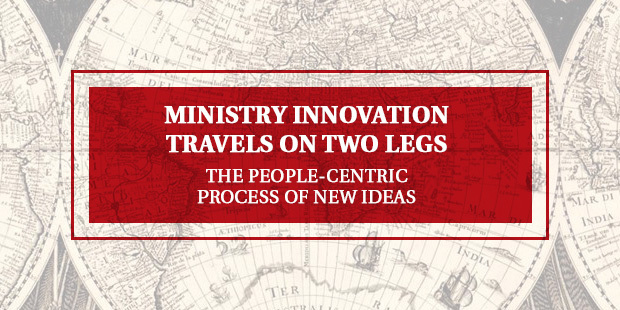 But if innovation is a process (and it is), it is surely a people-centric process. This means that innovative ideas spread from person to person – and even though we have tools now that make this easier, it still mostly happens one person at a time. He spent days and nights meeting with, probing, and listening to military men up and down the ranks. … Ben-Gurion was keenly aware that the midst of ongoing fighting, and plan for the existential threats that were nearing. Senor & Singer go on to describe how Israeli companies use similar approaches to prepare for disruptive innovations in modern times. In both cases, it is the face-to-face contact that both generates the new ideas and then helps them to spread. Warwick Absolon told a similar story in an Executive Education innovation course a couple of weeks ago. He talked about the innovation program that he has been running for the past three years. One of the critical components of building that capability is the series of meetings that he held all around their Australia-New Zealand region. Warwick travelled to all of the main offices, where he held workshops all day long. In each spot, he told people that meetings would start every hour on the hour, and he would talk about innovation with whoever showed up. They demonstrated a much higher level of commitment than you get from a memo, or an intranet announcement. In face-to-face meetings, people were willing to tell him what was working and what wasn’t. The main thing that Warwick built through this process was buy-in. In the era of the iPhone, Facebook, and Twitter, we’ve become enamored of ideas that spread as effortlessly as ether. 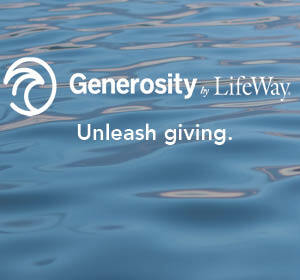 We want frictionless, “turnkey” solutions to the major difficulties of the world—hunger, disease, poverty. We prefer instructional videos to teachers, drones to troops, incentives to institutions. 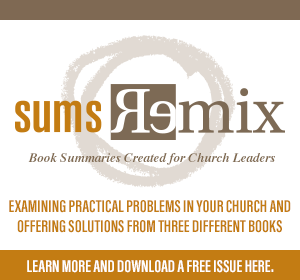 People and institutions can feel messy and anachronistic. They introduce, as the engineers put it, uncontrolled variability. Innovation is social. It is people-centric. Innovation requires a change in behavior, and that is why we need to activate our networks to get new ideas to spread. It is slow. But that’s still the best way to do it. Talk to people, all the time. That’s how you’ll get new ideas, and it’s how you’ll get them to spread. Even in our wired world, innovation travels on two legs. Which Path Will You Choose When Dealing with the Future? The problem with goals is that most of them are too big, and they take a long time, and that requires work. That’s also what makes them worthwhile! 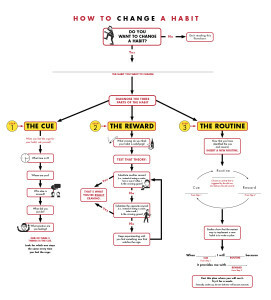 But on a day-to-day basis, you need to figure out how to build the habits that will eventually get you to your goals. > If your goal is to lose weight, you need to change your eating (input) and exercise (output) habits. 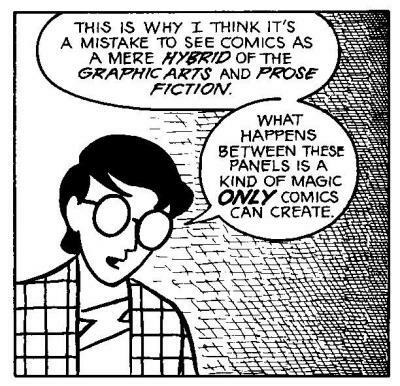 > If your goal is to write a book, you need to change your writing habits. This approach works pretty well for most of our personal goals. 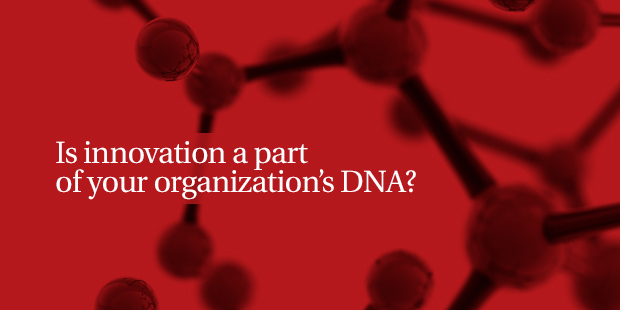 But what if our goal is to make our organizations more innovative? If you want to go in one direction, the best route may involve going in the other. Paradoxical as it sounds, goals are more likely to be achieved when pursued indirectly. So the most profitable companies are not the most profit-oriented, and the happiest people are not those who make happiness their main aim. The name of this idea? Obliquity. Obliquity is relevant whenever complex systems evolve in an uncertain environment, and whenever the effect of our actions depends on the ways in which others respond to them. Take care of yourself. Jason Cohen points out that we are happier and more productive when we get enough sleep, exercise, and take time to think. Practice divergent thinking. It’s a mistake to jump straight to solutions when we’re trying to innovate. First, we have to explore a broad range of ideas. Olaf Kowalik writes about how to use divergent thinking to do this – and this is a key innovation skill. One more thing: everything is connected in some way, so read about anything and everything. Not just books that have “innovation” in the title. 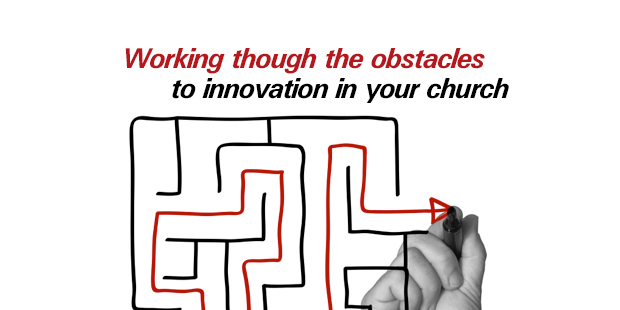 To innovate, you need the process, but you also need to muddle your way through a bit. 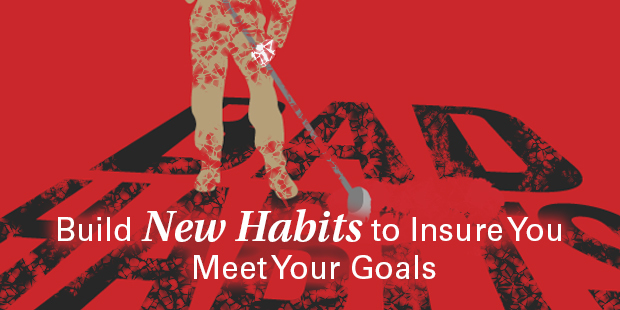 So some of the habits you need to build are oblique – like getting enough sleep. Others are more direct, like blocking out time for thinking and allocating resources for building your ideas. The main point is that things that are worth doing take effort over an extended period of time. 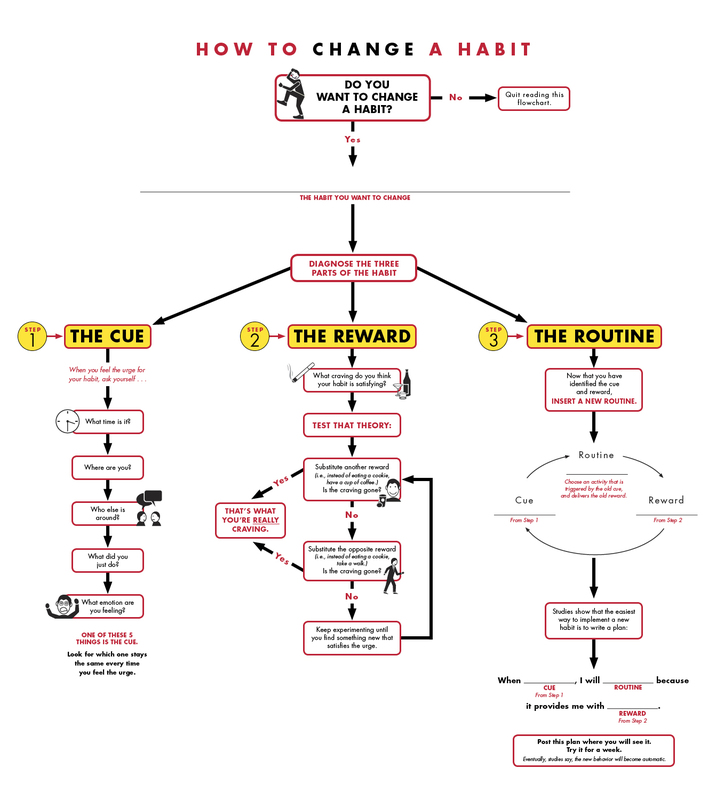 You need to build habits that will ensure that you make that effort. …the notable examples from the annals of technology, detailed by Rosenberg and others, in which it took many years for a new technology to find its most important commercial uses. The steam engine was initially seen as a device for pumping water from mines and only later as a power plant for movable ships or carriages. The railroad was initially seen as a feeder of good for canal transport and only later as a fully articulated system of transportation in its own right. The radio was initially seen as a “wireless” substitute for the electric telegraph for communicating between two ponits that could not be connected by wire, such as ship to shore, and only later as a means of “broadcasting” communication to a mass audience. Indeed, this is is an almost universal phenomenon in the evolution of technology. New technological paradigms seldom spring full-blown from the minds of their inventors, and when they do, as in the case of Arthur Clarke’s vision of communications satellites, the visionary is unlikely to be the person who makes the technological dream come true. Stokes is arguing in the book for a reconceptualisation of research. For quite a while now we have tended to view research as either basic – concerned with discovering new knowledge, but not with use – from applied – concerned only with use. Stokes instead argues that a great deal of important research comes from work that considers both knowledge discovery and use. There are a couple of important points here. First, it’s not enough to have a great idea – you have to actually try it out to find out if it’s any good. That is how you avoid the Galileo Gambit. Second, even if the idea works, we often don’t know what it’s actually good for. To discover this, we have to put it into use. Consequently, the best innovation comes when we are concerned with both discovery and use. 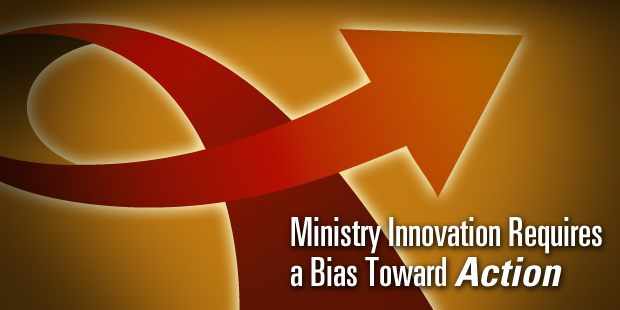 Put it all together, and it means that innovation requires a bias towards action. Are Your Young Leaders Getting Reps? When we drive, there are hundreds of things that we do every minute that we don’t consciously think about. Over time, we get so good at making these constant adjustments to speed and direction, gas and brakes, that we forget just how hard it is to actually drive a car. If we’re not careful, our concentration will slip and that can lead to trouble. The things that we don’t know we know are like that – they allow us to do incredibly complex tasks without thinking about them, but the unconscious nature of the action can also get us in trouble. Leading and managing is a lot like driving. When you’ve done it long enough, parts of it become automatic. I don’t get to manage much in my current position, so when I get a chance to exercise my management muscles and I can see all these actions coming back, I’m much more aware of them than I was when I was a full-time manager. Management is all about influencing from a distance. The whole job is nudges and levers, questions and suggestions. Little adjustments to keep on course, or speed up, or slow down. That’s the art of managing. The academic term for the things we “know” but can’t articulate is tacit knowledge. It includes mostly things that we learn from doing. Think about riding a bicycle – can you explain step-by-step how to balance while you’re moving forward? It’s actually pretty close to impossible – that’s why we need training wheels. 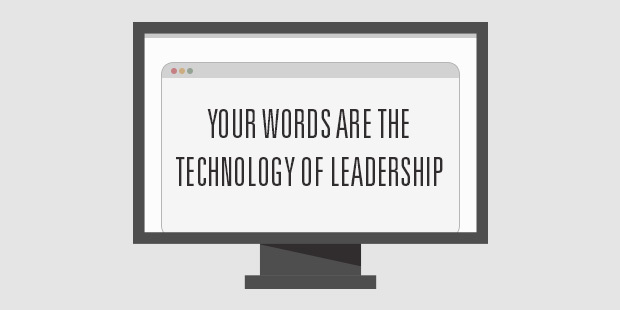 I love that quote from Jeanne Liedtka – talk is the technology of leadership. When was the last time you thought about how you use words? That’s something we learned to do ages ago. So long ago that we don’t even know what we know about speaking, or listening. And yet, these are the core technologies of leading. Speaking, and listening. If you’re leading, or managing, it pays to think about these technologies a little more deeply. Tom Peters addresses listening in a great document that he recently posted called Presentation Excellence. The main document is about presentation skills, and it’s useful. For me though, the goldmine is the appendix on listening. He starts this by saying “Interviewing/asking questions is a critical—and under-studied and under-practiced—skill. Few have treated it as a skill to be mastered akin to learning to play the piano.” He then goes on to give 59 thoughts on becoming a better listener. 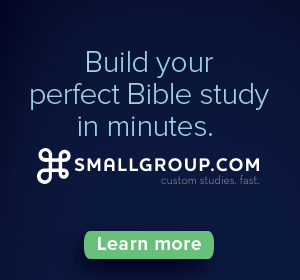 This is an invaluable resource – check it out. In terms of speaking, I’ve also run across an excellent resource recently. It’s a book called The Power of Framing: Creating the Language of Leadership by Gail Fairhurst. Like the piece by Peters, this book contains a wealth of practical examples and tips for using language more effectively. “It’s not [the manager’s] job to supervise or to motivate, but to liberate and enable” (Max DePree of Herman Miller, 1990). An Air Sandwich is a strategy that has clear vision and future direction on the top layer, day-to-day action on the bottom, and virtually nothing in the middle—no meaty key decisions that connect the two layers, no rich chewy filling to align the new direction with new actions within the company. I was working with a group of future leaders that had been identified by the management of their company. The firm is in a pretty conservative industry, but they are starting to try to differentiate themselves through innovation. This vision has been articulated from the top. And the young managers in the class had been asked to think about how to embed innovation within the organisation. They came back with a series of pretty interesting ideas, and they presented them in our workshop, with a number of senior leaders from the firm present. And every new idea that the young guys put forward got shredded by the senior leaders. How Should You Respond to New Ideas? There are two ways in which you can respond to new ideas. Your first response can be “no, that won’t work, here are the problems.” Or, you can say “that’s interesting.” And with the second one, you can find ways to build on the idea, or connect it to other ideas to create an even better idea, or at least figure out some way to support the idea. The firm I’m working with is in a pretty tough industry, and I suspect that the guys giving the rough feedback would say that’s important for the younger managers to harden up – that if they want to make it in this industry they’ll need to be tough. And that may well be true. But still, if you are trying to build your innovation capability, you can’t take ten of your bright young managers, ask them to come up with creative ideas to help build that capability, and then just absolutely tear those ideas to shreds when they show them to you. This is particularly important for this firm – because they have set themselves a tough challenge. But their overall objectives are admirable, and it’s important that they succeed. How Should You Respond When Your New Ideas Get Shredded? Learn from it. Getting our great ideas to spread is an important part of the innovation process. Overcoming resistance is a big part of that. Every criticism of your ideas contains some element of truth – even if it’s based on a misunderstanding, that shows that you need to get your point across more clearly. We have to learn from this, and improve the deliver of our new ideas. Don’t take it out on others. One big danger in a situation like this is that the young managers will learn that this how to respond to ideas in their firm, and react the same way when the people working for them come up with new ideas. This will completely kill off innovation. Instead, we have to use these experiences to build our empathy. This way, when others put new ideas in front of us, it might help us respond by supporting the idea, building on it, and connecting it to other good ideas. Change your culture. The culture of a firm is not an unchanging fact of life that simply acts upon us. We re-create it every single day through our interactions. Just because our managers act in a particular way doesn’t mean that we have to. 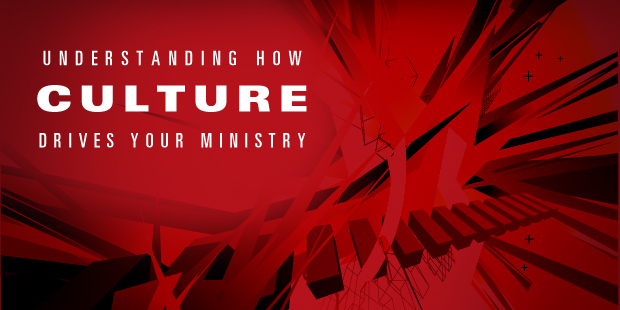 We have the opportunity to start re-shaping a culture by changing the way we respond to things. If we accept new ideas and build on them, others will start to do so as well. Band together. It’s hard to change a firm’s culture on your own. So another good idea is to find others that are also committed to driving change, and band together. Cultures rarely change through edicts – it is one thing that is especially open to bottom-up change. Innovation is hard – if it weren’t, everyone would be doing it. The environment that we create for new ideas is an important part of building an innovation culture. One of the big problems with shooting down ideas immediately is that doing so assumes that we can know in advance which ideas will work and which won’t. But we can’t. This is why experimenting and prototyping are such critical innovation skills. Learn by doing. Constantly test new ideas. Learn, share and repeat. The world is ever changing — stay ahead of the curve. Embrace the art of discovery. We need to try more stuff. Innovation is never about silver bullets. It’s about experimentation and doing whatever it takes, even if it means trying 1,000 things, to deliver value. 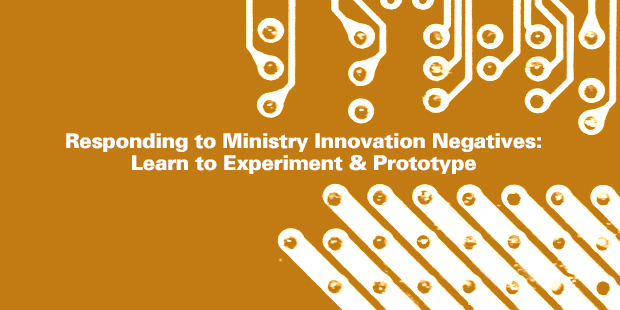 My main piece of feedback to the teams was: “how could we prototype your ideas?” If we test an idea, gather data from the test, and learn, that is the best way to combat a culture that shoots new ideas down on sight. It’s a lot harder to argue with data. Testing your ideas, and making evidence-based decisions are two more ways to change your culture. That’s my new idea for the day. How will you respond – will you tell me why it won’t work, or will you build on it to make it better? In organizations, it is the culture that provides the beat. This means that the same idea will perform differently in different organizations, even if nearly everything around it appears to be the same. Culture arises from actions in the world, ways of doing things which may never be articulated, and which may not be capable of articulation. In effect culture is always complex, never complicated. 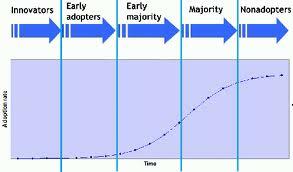 So it follows that cultural change is an evolutionary process from the present, not an idealised future state design. So the most singularly stupid meaningless thing you can ever do is to define what culture you want. At best it’s a set of platitudes, at worst its a set of pious platitudes that trigger negative and hostile accusations of hypocrisy from your employees and customers alike. Culture is an emergent property of interactions over time so the first and most important thing is to map your culture. Focus on actions. Snowden argues that actions tell us a lot more about your organization’s culture than rhetoric. This is true. If we are trying to build innovation, this means that being able to experiment is much more important than including innovation in your list of corporate values. The best way to build an innovation culture is to innovate, not to talk about it. Do this by building the capability to test ideas quickly and cheaply, and in such a way that you learn from the outcomes. Manage through constraints. Constraints are the things that determine current actions. They also drive creativity. Manage interactions and connections. In complex systems, emergent properties arise through networks of interactions. 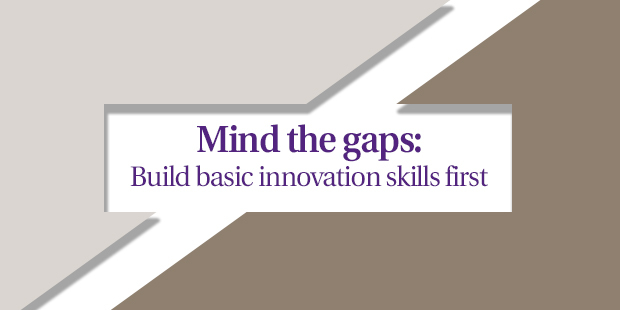 Building an understanding of your networks is crucial to improving innovation outcomes. Network weaving is a more effective management tool than organizational restructuring. A common mistake that I see from organizations is taking an idea from somewhere else and trying to just bolt it on to an incompatible culture. Google’s 20% is a great idea, but it will only work if your people are empowered to make their own decisions, their regular work is rewarding, and you have the resources and desire to implement the ideas that they develop. What your culture might actually be saying is… We have enough venture funding to pay people to work on non-core parts of the business. We are not under that much pressure to make money. The normal work of the business is not sufficiently rewarding so we bribe employees with pet projects. We’re not entirely sure what our business objectives and vision are, so we are trying to discover it by letting employee passions take root. The difference between that picture of 20% time and Google’s is culture. Collaboration is an important part of innovation. The days of the lone genius are gone (if they ever really existed at all) – now, it takes a network to innovate. But how much collaboration do we need? As you can see from the chart, the folks who fared the best — by a wide margin — were the in the modulated middle. They’re called “ambiverts,” a term that has been in the literature since the 1920s. They’re not overly extraverted. They’re not overly introverted. They’re a little of both. He adds more detail in this post, and also has a test where you can test whether or not you’re an ambivert too. The key question is why does it turn back down? This upside-down U shape is actually a very common research finding. You frequently see it in systems that require attention. Usually, it means that if you have too many team members involved, you can’t pay enough attention to each, and your results start to get worse. This is interesting for a three reasons. We often search for black and white answers – but life rarely offers them. Is collaboration good? Yes, but only up to a point. 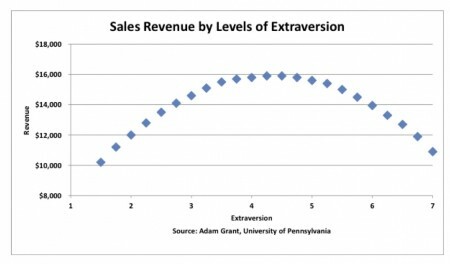 Is extraversion good if you’re a salesperson (and all leaders are “selling” something)? Yes, but only up to a point. Figuring out where that point lies is part of the art of managing. And being comfortable with the ambiguity in this is an even bigger part being a leader. 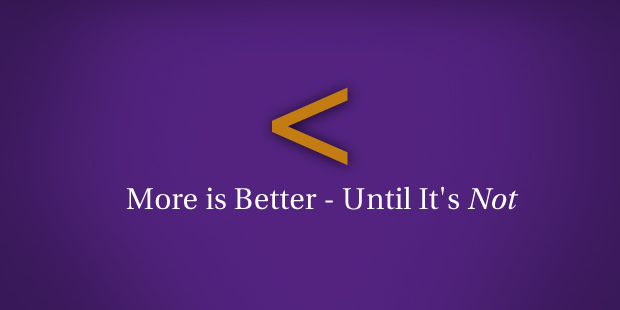 So just remember: more is better, but only until it’s not. What Process Do You Have in Place for Succession Planning? 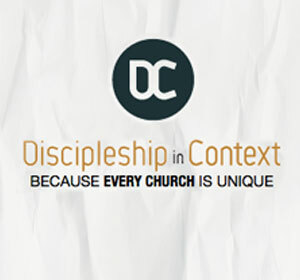 Providing leadership in a church setting always necessitates change. Change implies something is going to be different in the future. While change and innovation are not always synonymous, they can often be used interchangeably – like in the following post by Innovation Expert Tim Kastelle. He encourages leaders to first recognize the obstacles to innovation, and then gives four ideas to help overcome these obstacles. It’s the same question that I used to get about reading – where do I find time to read books? The answer to both is the same – I make time. One of the ways that I make time is that I don’t watch much television anymore. You wouldn’t think that writing a blog has competition, but it does. In order to write a post, I have to not be doing other things with my time. So as I’m writing this, I’m not watching The Wire, even though nearly every single person I know has told me that I must. And I’m not reading either. If something as simple as writing a blog post has competition, then clearly you will always have competition for something as significant as moving forward with a new idea. No matter how great our idea is, or how beneficial, some people will be made worse off when it’s executed. We like to think that our new ideas are benign, or only beneficial. There are always innovation winners and losers. Just as it’s important to think broadly about competition, it also pays to think broadly about who might lose when your innovative idea is executed. The time it takes to work through the innovation takes time – and that often takes people by surprise. It is a slow process because it takes time for people to hear about new ideas, it takes time to evaluate them, and it takes time to decide to adopt them. Once all that happens, it often appears as though successful ideas are overnight successes, but that’s only because they’ve finally hit a tipping point. The first issue is that you need to be aware of them. The idea diffusion s-surve is a research finding that has been consistently supported for 60 years now – it’s is one of the most robust ideas in management research. Yet it is still often misunderstood – just ask Kodak. Think about timing. You have to think about the timing of your idea. If you are still at an early stage in the diffusion process, all of your attention must go to getting your idea to spread. The right idea at the wrong time is still wrong. This means that you need to think about things like your network of supporters, and how to best take advantage of them to spread your idea. Early ideas need little bets, not big ones. When we face an uncertain future, as we do at the start of the innovation diffusion curve, then we need to try to influence the future through experimenting. The problem with big bets at this point in time is that they assume that we know how everything needs to work. When we’re in time X, we don’t know this – we have to discover it. Think about competition. And think about it broadly. Competition for time, attention and money will all slow the spread of a new idea. If people aren’t using your idea, what are they using instead? Think about who loses. This is another source of resistance. The competitors that we just considered are one source. But also, whose routine does the new idea disrupt? People trying to maintain their current routines are a powerful force preventing the diffusion of new ideas. You need to overcome this as well. If you’re serious about innovating, you will recognize – and work to overcome – the obstacles in front of you.